Rapid Responder Services with CED Technologies, Inc. When accidents or occur, the parties which the accident ultimately affects are mostly concerned about the health and well being of the potential injured. It is at this time that the evidence and documentation is required for a complete analysis and rapid responder services are crucial. Corporations and risk departments of service and manufacturing companies have been instituting rapid responder teams where a proactive approach is adopted to collect, examine, document and analyze accidents shortly after they happen, in order to strength their position and have all the facts in the event of litigation. Shortly after accidents happen the evidence preservation starts to deteriorate in what most experts refer to as the four “PS” of fragility. Witness statements and the account of the accident quickly fade as memories have a hard time recalling exact facts. The physical location of people and parts before, during and after the accident. This is crucial for forensic analysis because many engineering equations requires positions. Visible, tangible pieces that may have an influence in the accident. An example would be a piece of construction equipment that fell, injuring a person. This equipment would be important to maintain for analysis and other parts that was used in its operation. CED was able to arrive to the scene shortly after the accident happened, the engineer was able to determine that a rock was used to stabilize the equipment, bypassing the safety instructions resulting in a quick analysis of negligence. Written records such as operating instructions, maintenance manuals and records and training records. This information makes it easier for the engineer involved in the accident to search for hazards and warnings and to determine if the product was installed, maintained and operating in adherence to the manufacturers or service equipment guidelines. CED has incorporated a successful Rapid Responder program where clients can utilize CED engineering expertise 24/7 without having to retain an engineer on a full time basis, but rather on a case by case contract. Immediately after an accident happens, the risk department or legal counsel for the company will contact CED’s rapid responder line to report an accident and immediately receive a response as to when CED can arrive at the scene. While the engineer is in route, the CED research team will gather equipment information that may be needed by the engineer. Upon arrival the CED engineers will secure the area if the police or other emergency response teams have not already done so. 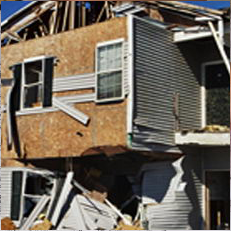 Once the CED engineer arrives, he or she will immediately document the scene with photographs, videos and measurements. The CED engineer will conduct an environmental survey as to weather conditions involved in the accident. Once all data is gathered the engineer will focus on equipment and the ability to preserve the equipment in the exact state as when the accident occurred. If there is cause for concern the engineer will advise if the equipment should be retained as evidence or release the equipment back into service if the analysis concluded that the accident was caused by operator error. This proactive team approach between corporations and forensic engineers has proved to be successful in reducing litigation costs. Please contact CED to request to be added to our Rapid Responder list.